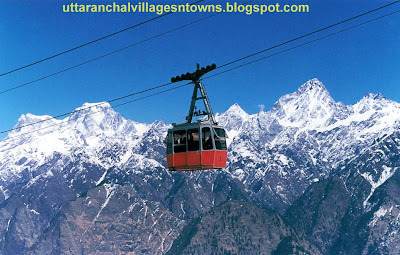 Auli, is an important ski destination in the Himalayan mountains of Uttarakhand, India. 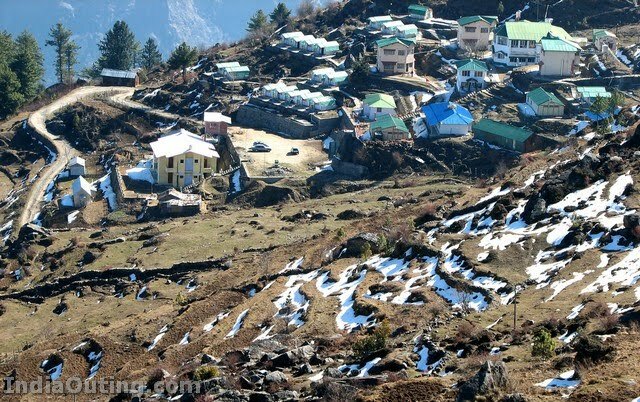 Auli is known as 'Bugyal' in the regional language which means meadow. Many foreigners, who have had ski experience in Auli considers it as one of the best ski resorts in the world. Auli is not very popular ski destination like Shimla, Gulmarg or Manali. 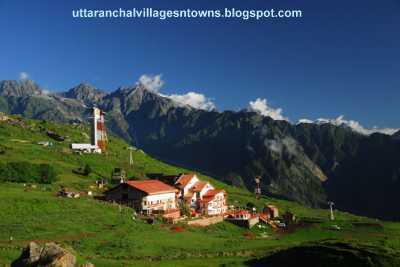 It was only in the recent time, after the creation of new state Uttarakhand (formerly Uttaranchal) that Auli has been recognized. Auli is situated on the way to Badrinath, near Joshimath .Auli is blessed with a stunning panoramic view of the lofty peaks of the greatest mountain range in the world, the Himalayas. The slopes here provide enough thrill to professional skier and novice as well. The Garhwal Mandal Vikas Nigam Limited (GMVNL) have imported snow beater to maintain slopes. Auli also boasts the Asia's longest - 4 km - cable car (Gondola). It also has a Chair Lift and a Ski-Lift. Apart from Skiing there is an interesting trek route also. There is a training facility of Indo-Tibetan Border Police. A small temple having connection to great epic Ramayana is also an attraction here. Best time to visit is last week of Jan to first week of March for skiing. Weather is highly unpredictable here. So, one must carry woollen clothes every time they visit here and alongwith raincoats. Auli is surrounded by high peaks like Mana, Kamet and tallest of all Nanda Devi. The 270 degree view makes you forget the long and tiring jouney to reach Auli. You can get treated to great view of snow clad mountains as they keep changing colors every minute the sun goes down. This is the best way to meditate yourself. Here you will understand why the Sadhus(sage) came to Himalayas for meditation. The feeling of solitude and oneness with god and sitting right in the lap of nature will do wonders and you will be filled with new positive energies both mentally and physically. Auli is starting to get popular among the ski-lovers. Though the long, tiring travel and unpredictable weather can be a bit of mood killer. But one must be lucky to enjoy snowfall and ski here. There can be snow storms, heavy rainfalls to spoil your mood and day. Though the GMVNL has imported snow beater it cannot give the experience of fresh snow. But all in all it’s an amazing and thrilling place for skiing. 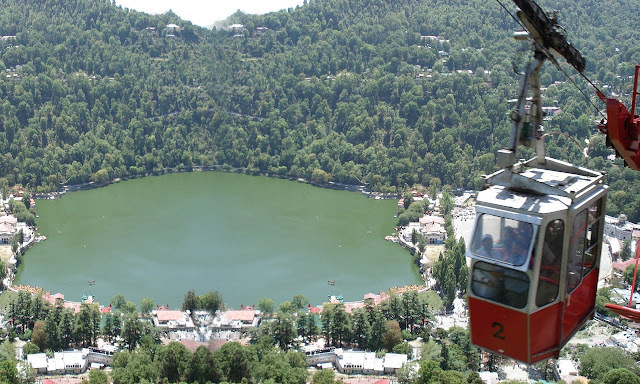 The world's highest man-made lake is at Auli, right next to the private hotel, Clifftop Club. The government has developed this in view of making artificial snow on the new ski slopes to cover up the low snow fall. The water from this lake is used to feed the snow guns stationed along the ski slopes and thus provide a good skiing surface and a stretched ski season. Apart from skiing there are some trek options available and below list is some of the trail normally completed in single day Auli - Gorson around 7 km Gorson - Tali around 6 km Tali - Kuari Pass around 11 km Kuari Pass - Khulara around 12 km Khulara - Tapovan around 9 km. There is a training facility of Indo Tibetan Border Police. If tourist gets trapped then the chopper service can be requested for rescue or transfer to city medical facilities. By Air: Jolly Grant Airport (near Dehradun) is the nearest airport (approx 300kms away). From here you have to board a bus of cab/taxi. Nearest rail head from Auli is at Haridwar (approx 300kms away). Hotel Clifftop Club is recommended by most of the visitors here due to its location. The rates should be Rs1800/day if you stay for more than 5 days. else the rates are Rs 2200/day.The Uttarakhand tourism also provides accommodation facilities. The charges would be less but so will be the services and the comfort. 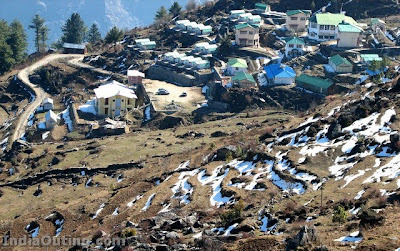 If you do not want to stay in Auli for night, than you can opt for Joshimath (13 kms away from Auli). The accommodation in Joshimath is much cheaper than Auli.